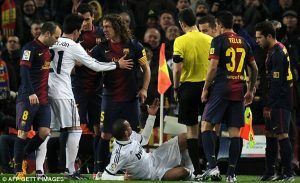 El Clasico was compulsive viewing last night but it changed my opinion of this historic game. When I was refereeing, I targeted the big matches. The ‘big four’ in the Barclays Premier League playing each other or inter-city games and derbies were obvious choices. 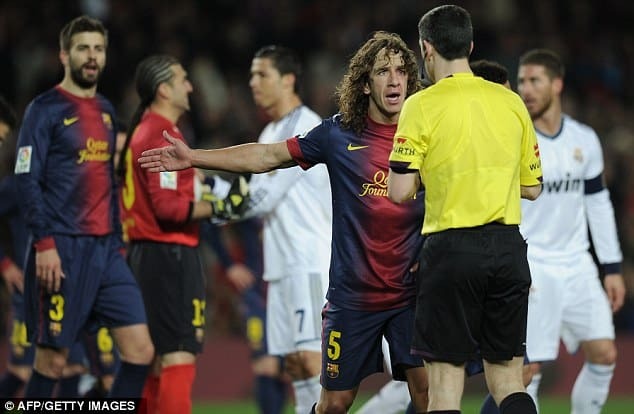 There was a time when UEFA were considering a transfer of referees between countries for domestic matches to alleviate some of the pressure on officials; for example, fly Pierluigi Collina in to officiate Arsenal versus Manchester United and send me to do the Milan derby. I would have loved that opportunity. However, after watching last night’s Copa del Rey semi-final second leg I am delighted that I was never subjected to the experience endured by referee Alberto Undiano. Players were surrounding him to pressure him to dismiss opponents, diving was more the norm than the exception and there was such excessive use of the ‘dark arts’ that you just knew Jose Mourhino was one of the managers. Not that his Real Madrid side were the worst culprits. Real were awarded a legitimate penalty when Gerard Pique tripped Cristiano Ronaldo – it was an easy decision, even for the away side in the cauldron of the Nou Camp. However, Pique’s protestations were long and vigorous. 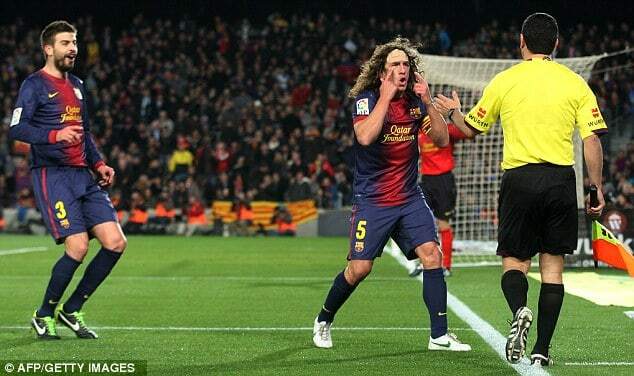 His behaviour was embarrassing after seeing the replay which confirmed that he had clearly tripped Ronaldo. Cesc Fabregas really should have been cautioned soon afterwards for simulating a foul to try to win a penalty and gain a possible equaliser for Barcelona and that first half ended with a player laying on the ground feigning an injury. The second half continued in much the same vein and Pedro should also have been cautioned for diving – fortunately Undiano was not fooled into awarding another penalty kick. The 83rd-minute incident almost made me switch channels – but the Everton v Oldham game had finished – as Pepe threw himself to the ground after a minor melee, claiming he had been hit in the face when there had actually been minimal contact on his body. A bad day for an out-of-sorts Barcelona was, for me, a worse day for Spanish football which should have offered so much more. Of course, we have had similar situations in our domestic football but thankfully that behaviour appears to be a thing of the past – well at least to the excessive levels I witnessed last night.